The Govt. of Madhya Pradesh has launched one social security scheme dedicated to the citizens who have only daughter. 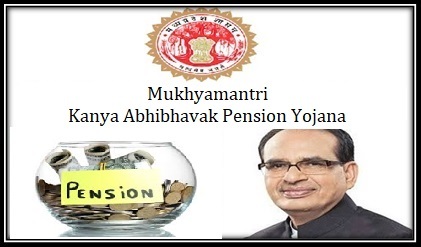 The Mukhyamantri Kanya Abhibhavak Pension Yojana is one of the major projects, being implemented this year by the Shivraj Chauhan Government. A family with no male child has to face several difficulties when the parents get into the later stage of their life. As daughters get married some day, they found no one for their support. So this pension scheme will help out those parents to live their life without much financial crisis. Supervised By Social Justice Department, Madhya Pradesh. Parents with only daughter will get this financial help from the state government every month. Even if one member of the couple i.e. father/ mother expires, the same pension amount will continue. The eligible beneficiaries under this scheme will get a monthly pension of Rs. 500 per family, i.e. husband and wife. The pension scheme will continue till the death of both husband and wife. The applicants living in rural areas will have to apply directly to the Chief Executive Officer, Panchayat through an application. Those who are from the urban areas may apply directly to the Chief Municipal Officer or the Commissioner of the Municipal Corporation. The total time within which the administrative authorities will have to access the application form, check all documents, make necessary verifications and start the monthly pension is 60 working days. This time tenure is same for both rural as well as urban applicants. The applicant needs to provide either he bank account details or the post office account details so that the pension amount will be directly transferred to that account each month. To get the benefits of this scheme, one has to be a permanent resident of the state of Madhya Pradesh. Those, who have living son, are not eligible to join the scheme. Only those parents who have only daughter shall apply. The minimum age criteria to join the scheme is 60 years and above. However, there is no upper age limit. Apart from this, the scheme is open only for those who are non-tax payers. Those with fixed salary and retirement benefits need not apply. A document for proof of identity and proof of address is to be attached. For proof of identity, one may attach Voter ID, Aadhar card, PAN card, Driving License, etc. For proof of address, one may provide Voter Card, Aadhar Card, electricity bill, telephone bill, etc. One document, that may be a voter list roll, ration card, Gram Panchayat certificate, self declaration certificate, etc. is to be submitted which shows that the family/couple has only daughters and no living son. As a proof that they do not pay any income tax, a self declaration is required along with the application. In case one member of the couple is deceased and another one is applying, then the death certificate of the deceased husband or wife is to be attached. Bank account or the post office account passbook copy’s first page is to be attached along with the application. A printout of the MKAPY application form may also be taken from the website which may be filled and submitted at the Municipal office or the Gram Panchayat office, along with all required documents. One can also go to the above mentioned offices directly to get the MKAPY application form free of cost. Visit the official online portal of the scheme- http://mpedistrict.gov.in/Public/show.aspx?param=93VbuxsudPBeAStZ/GJFEN72z4maiYpCQYReYJPhh9E1kkhG9Fv/ZOi5zWPZx0lv. All scheme related details and queries are explained here in Hindi. Proceed with the ‘Click to Download the Form’ tab to go to the application form of the scheme. The online form will open. Here one may take the print of the form and fill it physically, or proceed with online form submission process. Fill up the sections like Name of the applicant, Date of Birth, present and permanent addresses, name and details of the daughters, etc. Also mention whether the application is for couple or for single beneficiary. Provide the bank account details or post office account details. This will be used for credit of pension through automated process. Upload the recent picture in JPEG format of the couple/single applicant. If the pension account is joint, then one picture of the couple may be uploaded. Otherwise for single applicant i.e. widow / widower, single picture should be uploaded. Tick on the check boxes for necessary documents attached, provide the date and place of application and sign the filled in application. One may contact the Panchayat office directly or the Municipal Corporation for any assistance related to the scheme. The online portal- http://mpedistrict.gov.in/Public/contact.aspx also has list of e-mail addresses of each office/officer attached with the scheme. One may also get the e-mail addresses of administrative offices in their district. How to check the beneficiary list? Any interested and deserving candidate who has enroller under this scheme will also be able to check the status of his/her application or beneficiary list online. The applicant must click on the official link of MP state government. The link address of this link is http://samagra.gov.in/default.html. As soon as one clicks on this line, the home page will open up. The page is available in Hindi, but one can translate it in English as well. As soon as one clicks on this link, a different page will open in a new tab. In this page, the person will have to enter details about the district, village panchayat, local body and the type of pension. This will trigger the site to present the beneficiary list in that area. As each candidate has a unique ID, searching for the name will become easy with this code.